One of my passions, and there are many, is gardening. It keeps me connected to the rhythm of the earth and the universe somehow. The dark rich loam perfumes the air with its goodness assuring me that something remarkable will soon present itself. My Momma passed along a love for the soil and all things it can produce to me, my sisters, and my daughter, and to any others who witnessed the magic she worked around our home places both in Virginia and Florida. Passing this along to my grandchildren is a delight. 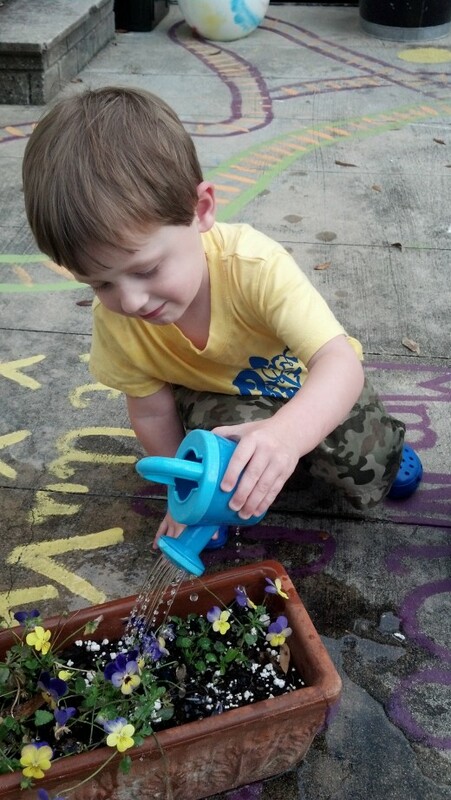 My daughter loves to plant and grow things too and often we reminisce about working in the garden with her grandma. My grandson has come up with a new word that defines love and a form of play. You will not find it in any dictionary yet...but it will be one day. This word is : rootcake. 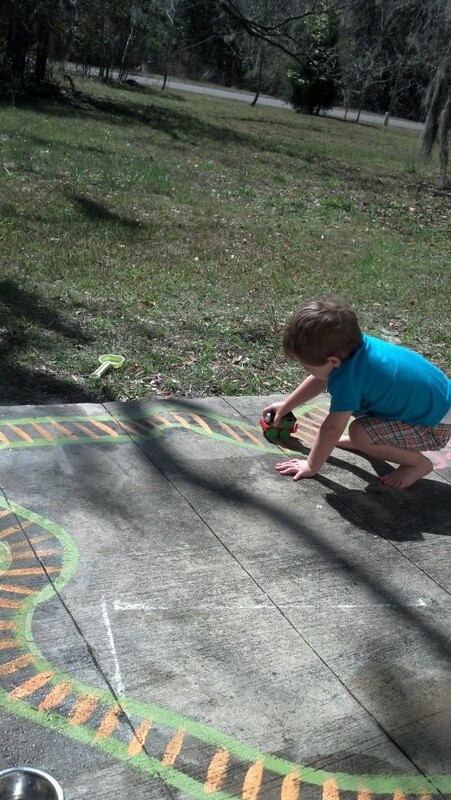 When my baby grandson comes to visit, we spend a lot of time outdoors. He has so many favorite ways to spend the morning. He likes to go up to the edge of the property line and snuggle up next to the leaves on the trees. He then crouches down and creeps down to the end of the tree line. He smells the loamy earth and can see any tiny, unsuspecting insect that is wiggling or scurrying to some important engagement. He will stop, suddenly, cup his hand next to an ear and say, "Listen, listen. Do you hear the birds?" And, we will stop and enjoy the musical interlude a yard full of melodic birds provides. A sprightly butter-yellow butterfly flits by and he is off to see where the lovely creature will lead. Evey time one comes by he stops whatever he is doing and chases after it perhaps wishing that he too can fly. 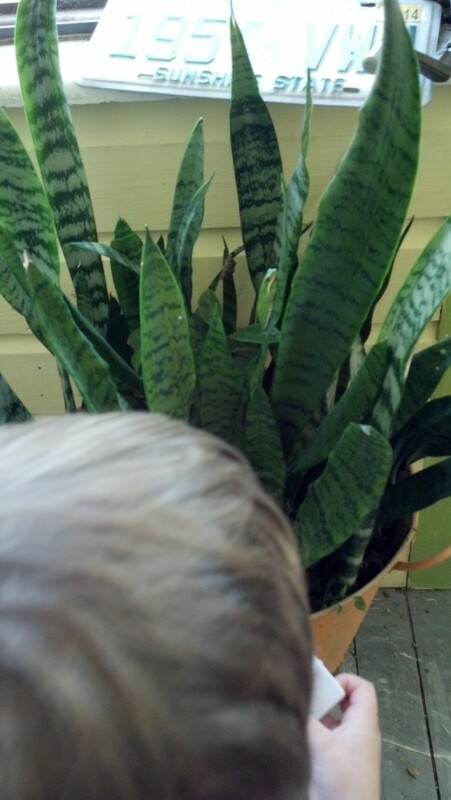 In all my years, I never thought my baby grandson would teach me about root cake. Wasn't I supposed to be the one who was showing and telling him all things new and wonderful?? Getting carried away by the wonder of it all changes who a child is and how he feels about all things in nature. Learning to love all things of nature enlarges a child's life making each new moment outside a wondrous one. 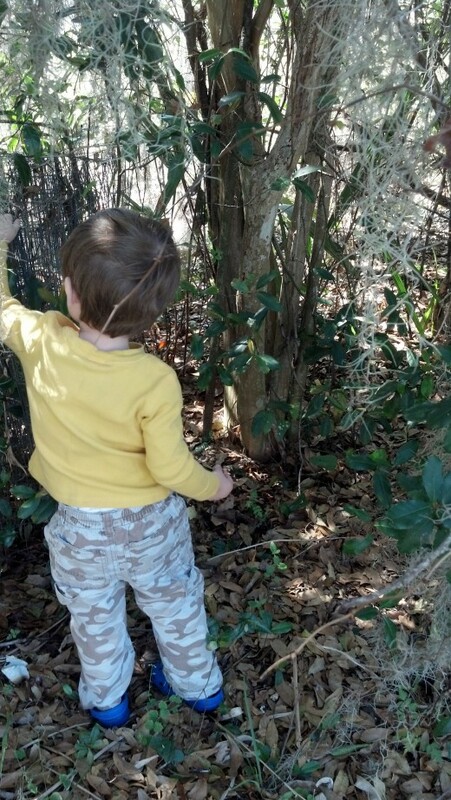 Being immersed in the out of doors opens a child to the whole world of options that nature offers. Children will embrace all of the goodness nature offers if we give them the opportunity. 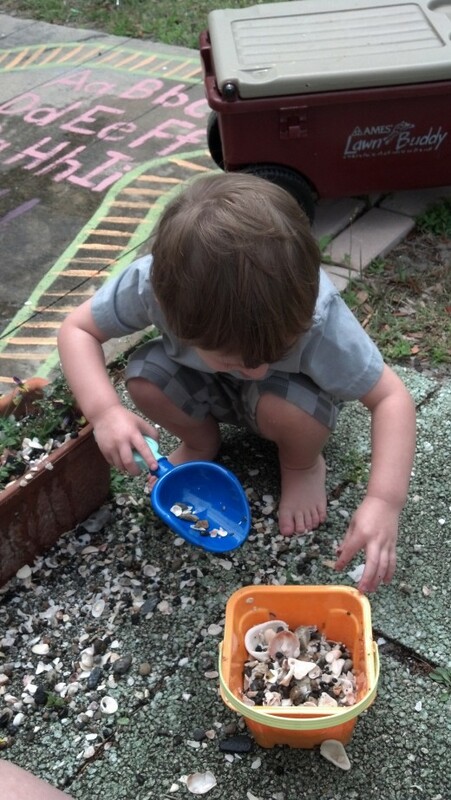 My baby grandson is mesmerized by all creatures, tiny as they are, that he spies. He is very fond of ladybugs. They are plentiful at this time of the year and sometimes they come inside. Last week he found one at home and took it too his Momma to show her (sadly it had been trapped by the screen and had already succumbed, a fact he did not know). He proudly presented it to her and said: "She's sleeping, Mumma." O, the innocence of childhood. He will suddenly squat down when we are in the yard to watch any insect making its way somewhere. Yesterday afternoon, we were watching the grass for whatever may come by and we were not disappointed. Soon, a tiny brown ant hurriedly came along. It was carrying a large sliver of a leaf---it was much bigger than this tiny ant. Undaunted by its size, this industrious ant moved along quickly and decisively to the nearby anthill where it descended below the ground. Later in the afternoon again we were treated to another act of Herculean strength. 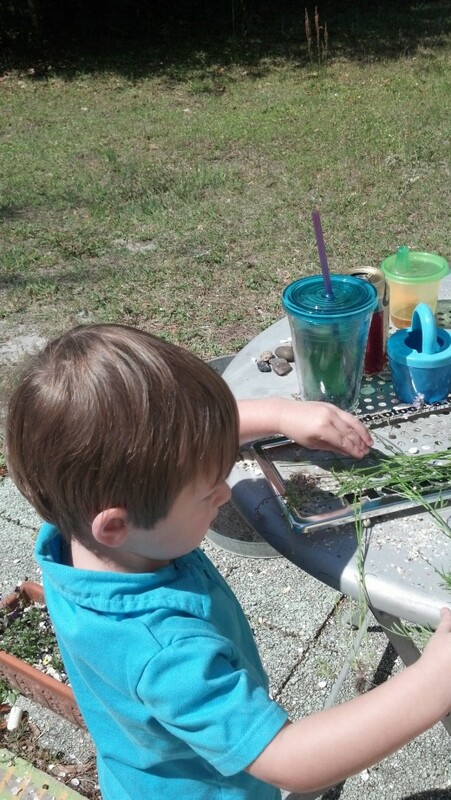 My grandson had been digging in the soil and I was pulling weeds from my flower bed. I had stopped so he could show me a lemony butterfly who was prancing across the yard. We chatted about how beautiful she was and then sat down on the ground to search for whatever fascinating insect would come by. We really did not wait long when along came a tiny brown ant, surely it was not the same one from earlier in the day, and it was carrying an enormous load. Wobbling above its head was a watermelon seed which dwarfed our tiny friend. Totally unaware of us or totally ignoring us, it moved through the grass with little difficulty. We did not see where it went as the grandboy decided he needed to run pull a dandelion that had gone to seed so we could blow on it and scatter it on the breeze. Tiny feathers from the dandelion's skeleton fly away and he is off to make root cake. Root cake in its broadest sense is a scoop of soil. But it can it can be any unexpected gesture that your child may make. Any time your child reaches out to you that is root cake. And what is root cake? It is fun and joy and excitement all rolled into one. 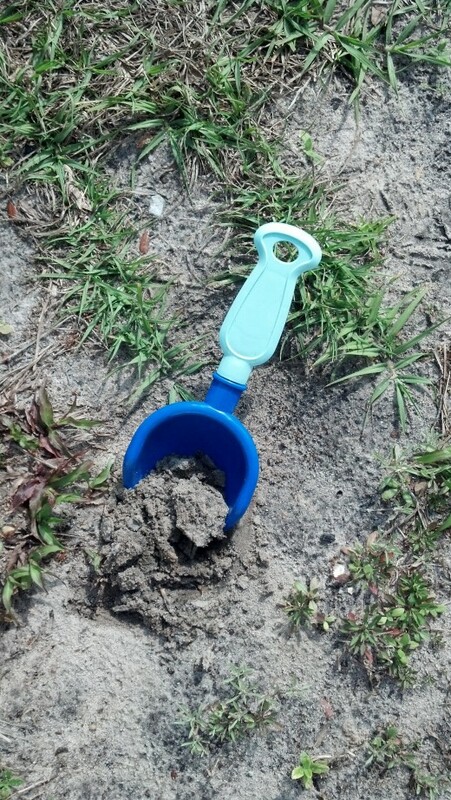 It is a scoop of soil. Any kind of soil will do. Scoop it up and put it in a pot, add a plant and.voila...root cake is served. So, now you know. Root cake is soil. It is guaranteed to bring a smile to the face of a toddler and to the toddler's Momma or the toddler's Nini (gran'ma). Someday soon, if it has not happened already your child or your grandchild will introduce you to root cake. It is so nice to have you stop by this afternoon. It IS so much fun sharing all of the lovely parts of the outdoors with my baby grandson. We have played outside most of the day today as it is a glorious spring day. These are special memories we are making for sure. Yes, I assure you this little doll makes every day brand new. He is so interested in everything and it is so much fun telling him about some new discovery. All I can say is that I am blessed. Thank you for visiting and for the shares.. This is such an uplifting hub to view and read. 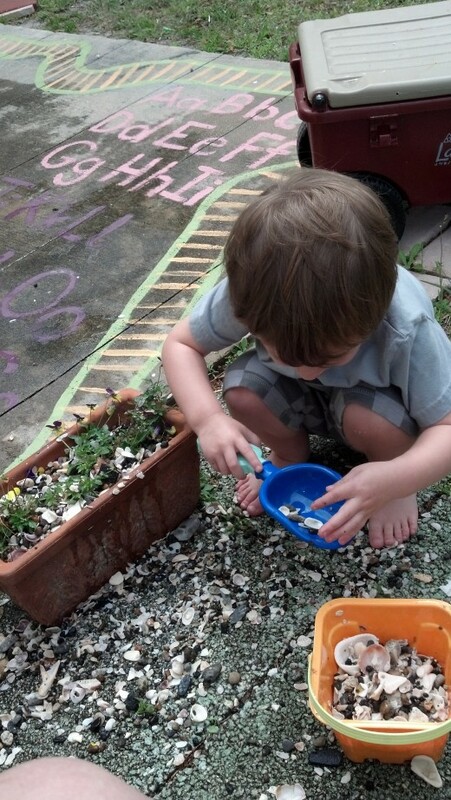 Your grandson is so cute and just reading about his curiosity and emerging love of nature has me smiling. I know that his visits must bring you great joy. Thanks for sharing this slice of life with us. All children should be so lucky to have a grandma like you! Sending you angels today and always! Up votes and sharing this delightful hub with others. I have to agree....little Hess is a doll. He makes every day brand new. He came up with root cake all by himself. I love it. Your handsome grandson is the most beautiful root-cake-maker I have ever seen, Patricia. He is fortunate to have such a wise and loving Nini. What a lovely experience you have given your readers with this charming hub, m'dear. Thank you for this awesome introduction to root cake. It is a joy, Pamela, to share time with him. He keeps me young as he expects me to run and play with him so I do. What a gift my grandboys are. And sharing nature with them makes my heart sing. Children are so curious and wany to learn when we take the time to teach. Your grandson is so cute. I think it great that you are starting him out at a nice young age, Sening you angles and blessings for you and your family. I loved this piece, too! 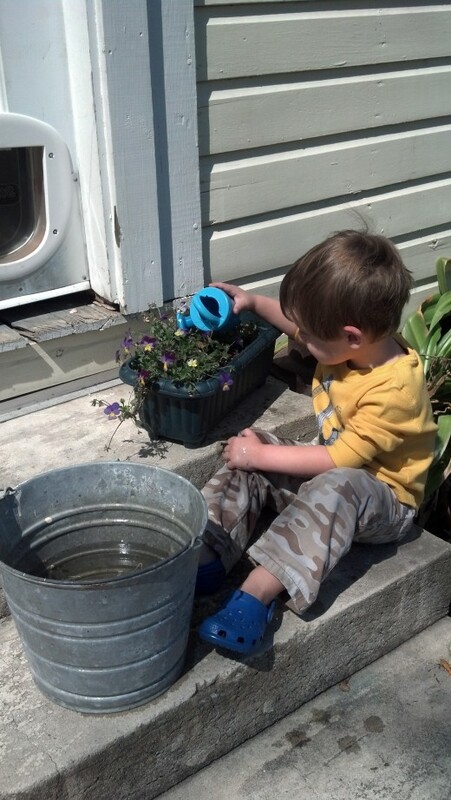 And the picture of your grandson watering the johnny jumpers reminded me of my mother and how she and my daughter would spend hours tending her garden. My mother passed away in 2011 and my daughter is now 11. Thanks for bringing both of them closer to me and for reminding me that it's still important to tend to my "baby's" roots! Yes, I was up plugging away at it. My sweet sister is coming for a visit today...I love it that she has moved to Florida. So I know I won't be on here so much for the next 5 days. i wanted to share root cake because it was weighing on me...you know how a story grabs hold of you and won't let go. He just began showing me scoops of root cake about 10 days ago and I knew I had to share. He is a doll and a such a gift..he was never supposed to make it onto the planet. And he is and I get to have my eldest grandson all over again in a sense. And yes, nature and kids and adults too is a wondrous thing. You are up late my friend, and your grandson is adorable. I think it is so important that children be exposed to nature and allow their imaginations to sprout like the roots of a plant. Bravo to grandma for encouraging him. Lovely visit tonight. Thank you and blessings to you and your beautiful family.